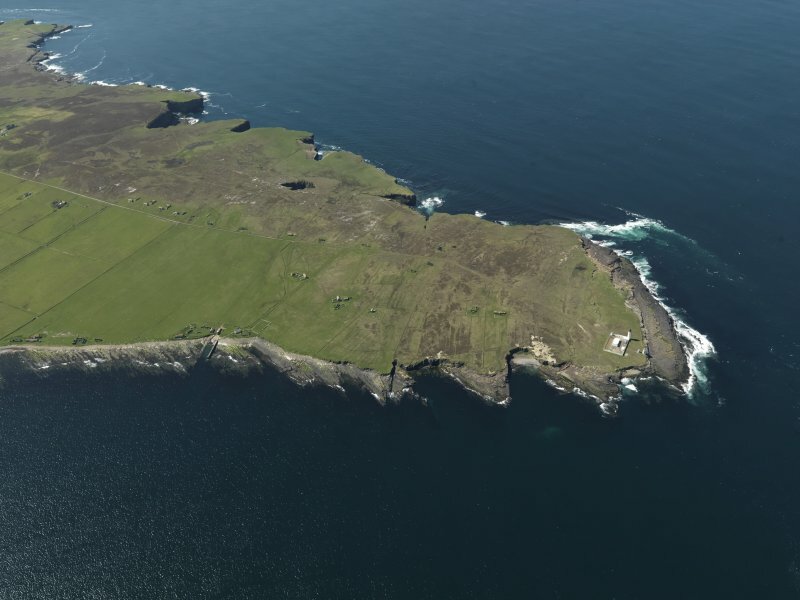 Stroma, oblique aerial view, taken from the NW, centred on the lighthouse, and showing the edge of Nethertown township in the centre right of the photograph. 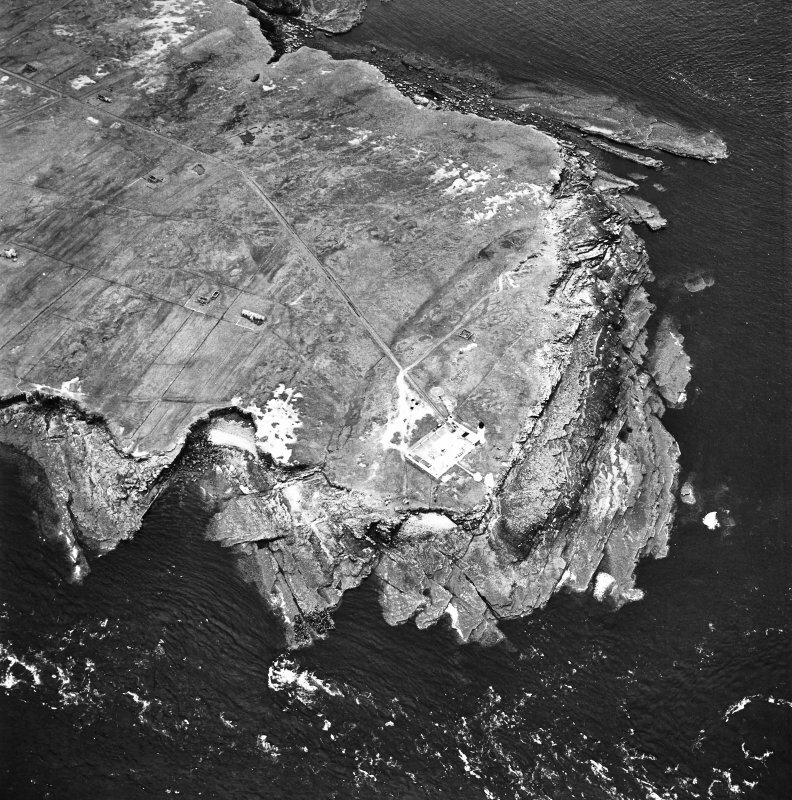 Stroma, oblique aerial view, taken from the NE, centred on the lighthouse, and showing the edge of Nethertown township in the left half of the photograph. 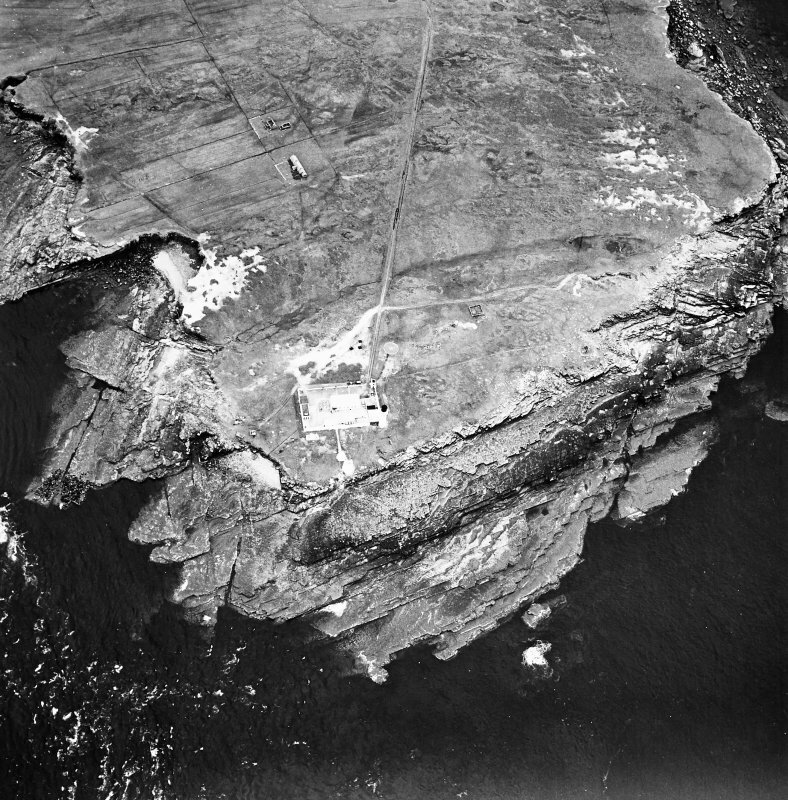 General oblique aerial view of the lighthouse on Stroma, taken from the ENE. 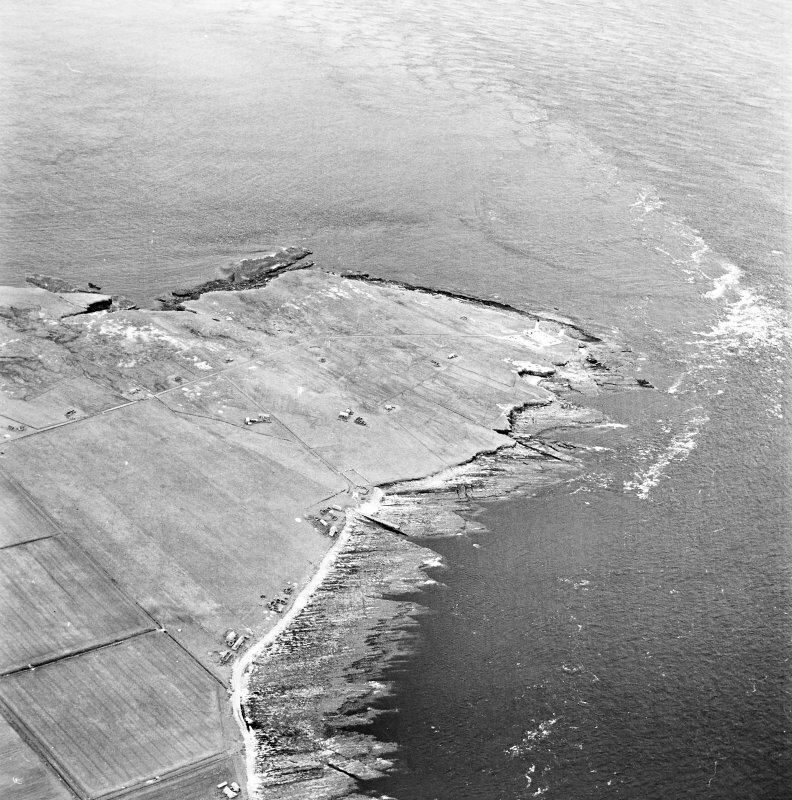 Stroma, oblique aerial view, taken from the W, centred on Bught o' Camm promotory fort and, showing Nethertown township in the centre right of the photograph. 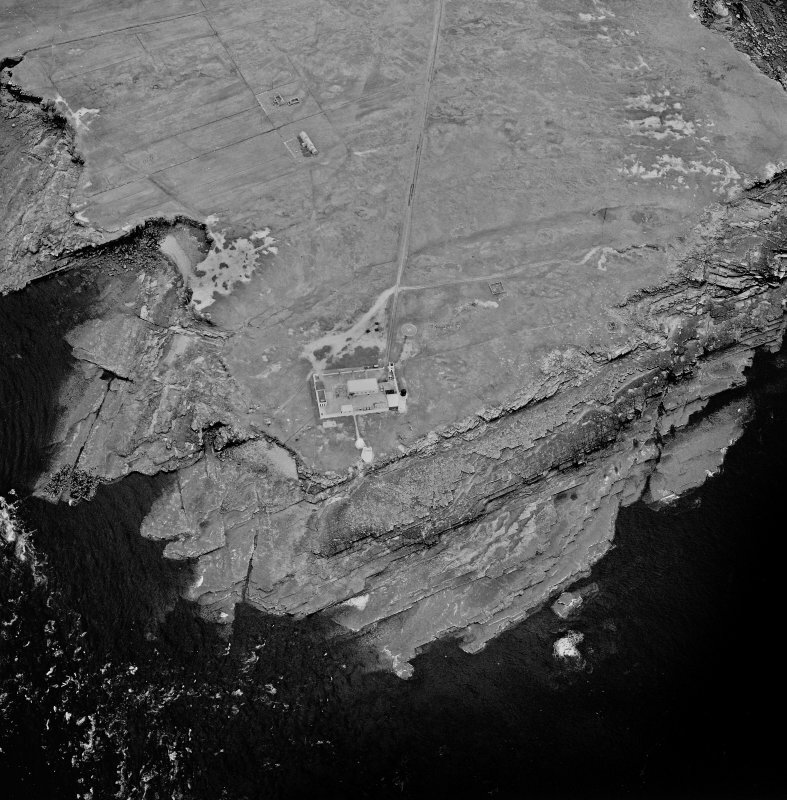 Stroma, oblique aerial view, taken from the N, centred on the lighthouse, and showing the edge of Nethertown township in the top half of the photograph. 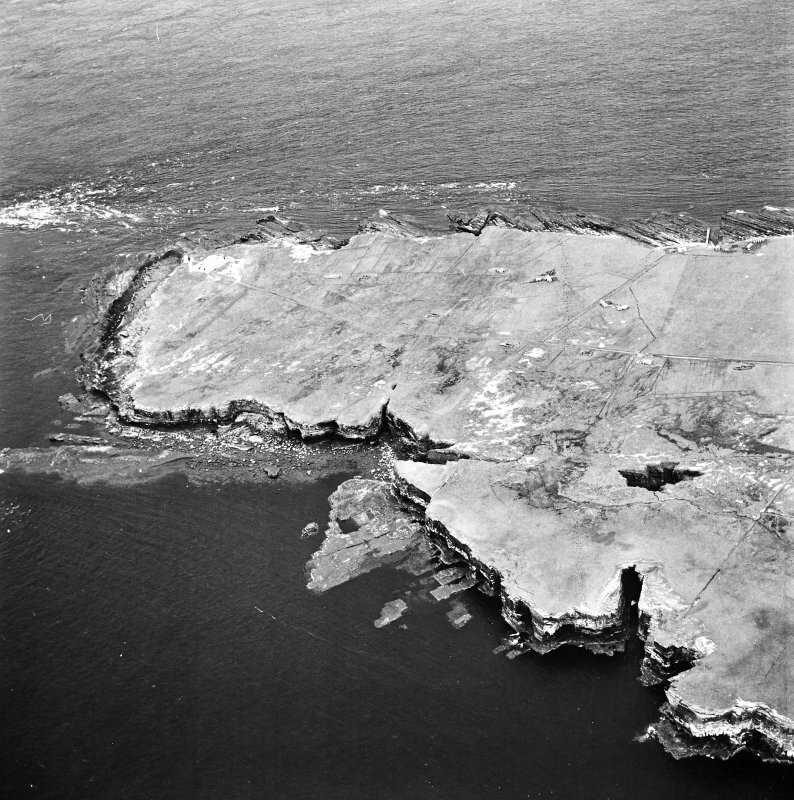 Stroma, oblique aerial view, taken from the ESE, showing Nethertown township in the centre of the photograph, and Stroma lighthouse in the centre right. 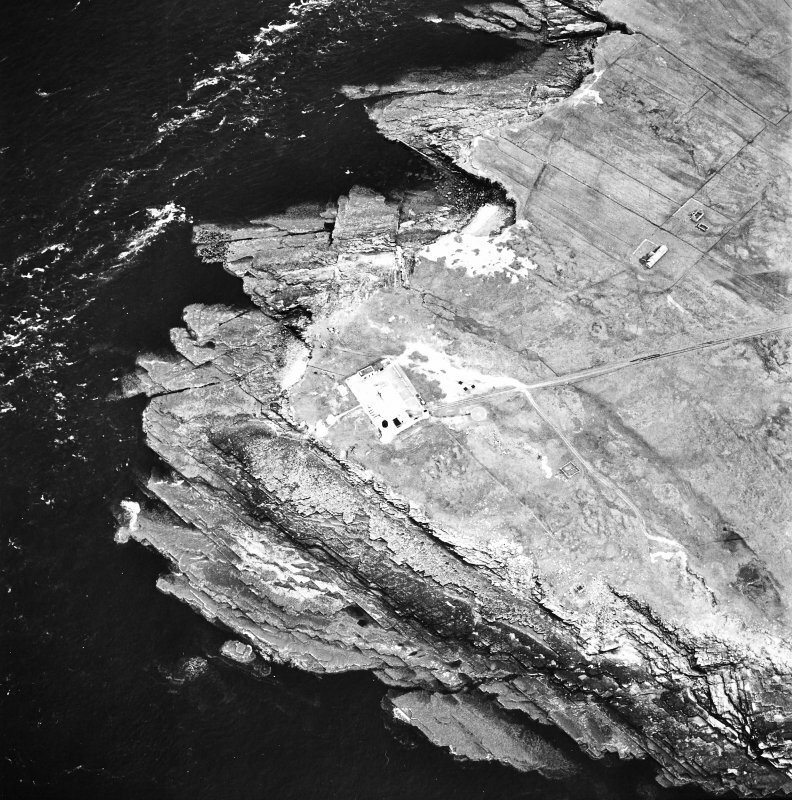 Stroma, oblique aerial view, taken from the E, centred on the lighthouse, and showing the edge of Nethertown township in the left centre of the photograph, and Bught o' Camm promotory fort in the top left-hand corner. 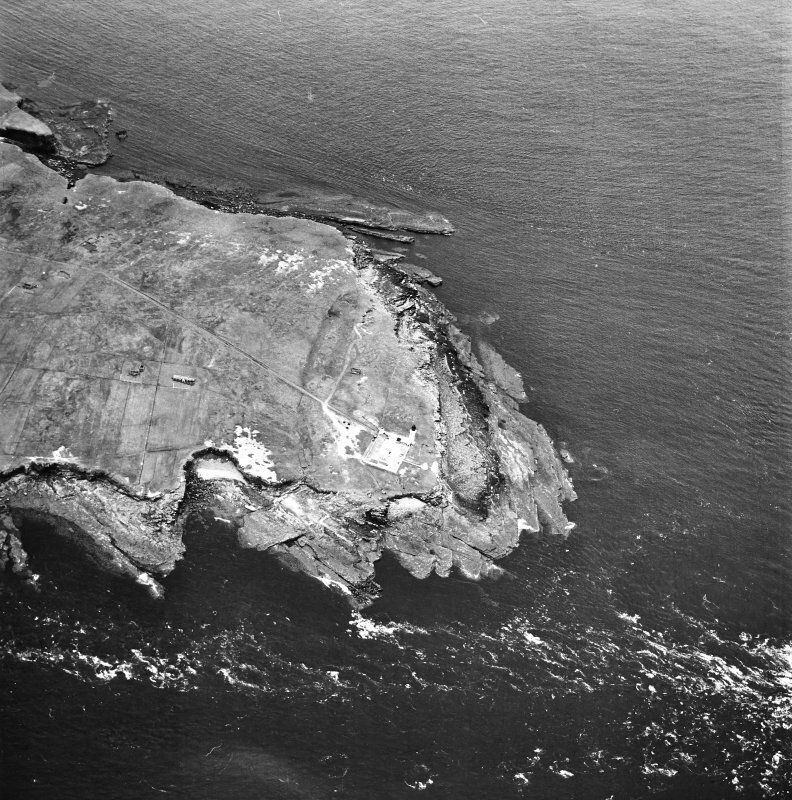 General oblique aerial view of Stroma, taken from the N.
For (predecessor) Stroma, Old Lighthouse (ND c. 353 792), see ND37NE 20. Location formerly entered as ND 3537 7921. 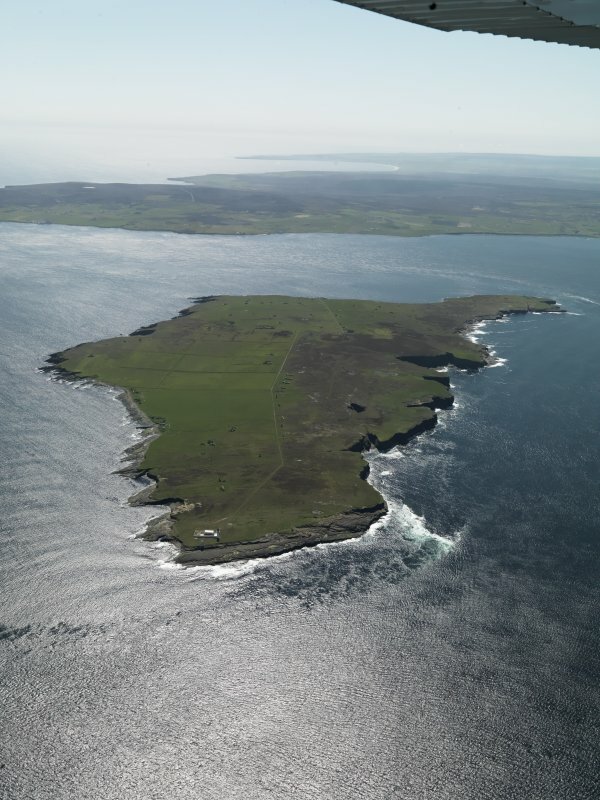 This major lighthouse was built (as part of an extensive programme of construction works around northern Scotland) by D A Stevenson, and was first lit in 1896. It suffered aerial attack in 1941 and was administered as a shore station until 1961, being a rock station thereafter. The light was electrified in 1972, using a sealed-beam system with a maximum power of 1,100,000 cp; it was automated in 1996. This light succeeded an unmanned minor light of 1890, which was itself of significance as one of the first two around Scotland to use 'scintillating' lights of the Trotter-Lidberg type, with lythene (petroleum spirit) as fuel. The location of this structure is unknown but it may have occupied the same site. Information from RCAHMS (RJCM), 23 August 2001. R W Munro 1979; K Allardyce and E M Hood 1986; K Allardyce 1988. Replaced an unmanned light built in 1890. Damaged by a bombing attack.